KRS-3302 ICS is a small servo of cube type design. 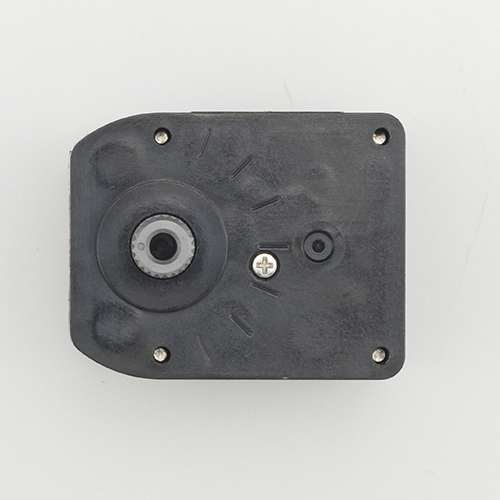 The plastic gear and the Cored Motor were adopted. 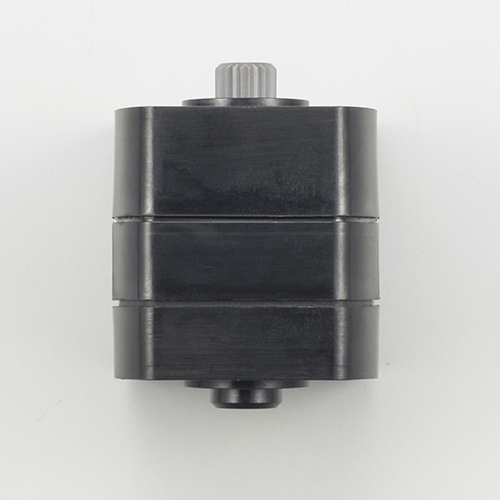 Although it has an affordable price range, the output has a smooth motion and moderate torque. 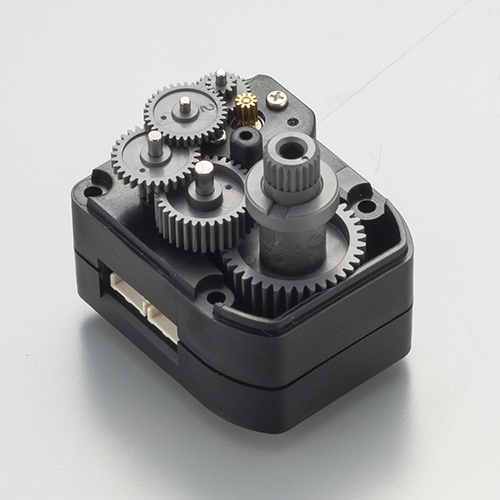 The dimensions of the case are the same as those of the high torque servo KRS-3304R2 ICS. 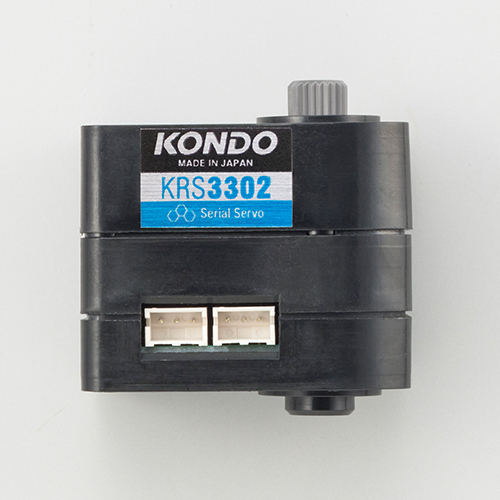 For KRS-3300 series servos, the same frame can be used. 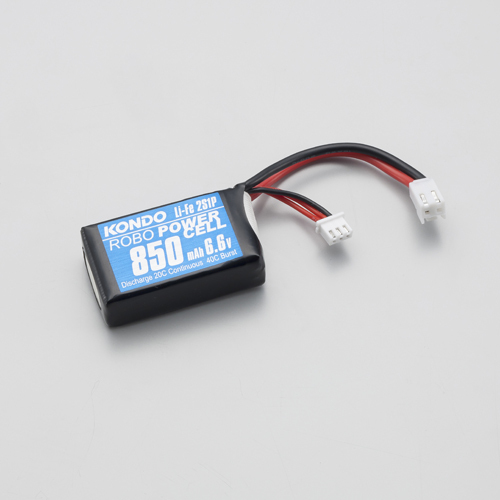 Despite being a low priced servo, the design is without compromising gear mesh and has achieved a silent and smooth motion. KRS-3302 adopted ICS 3.6. In ICS 3.6, commands for acquiring the current value are prepared. 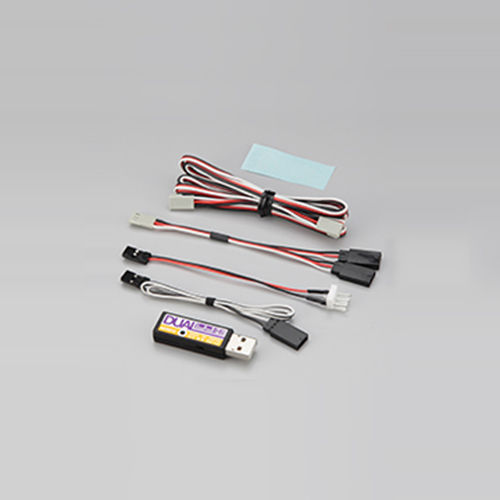 Since you can read the current value in the same way as the command to read the stretch and speed, it is convenient when controlling the servo with the program. The KRS-3302 newly adopted a powerful motor. 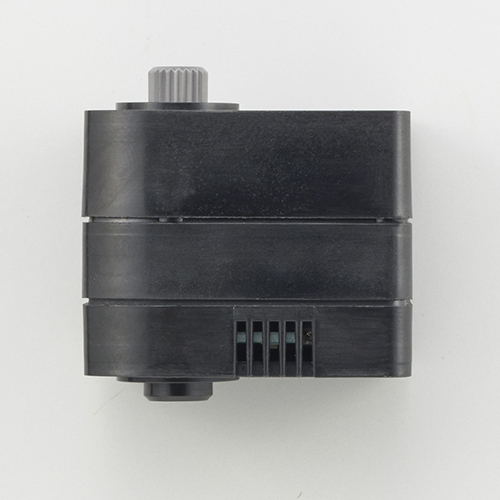 Unlike ordinary ones, this new motor has a motor case with a square cross section. 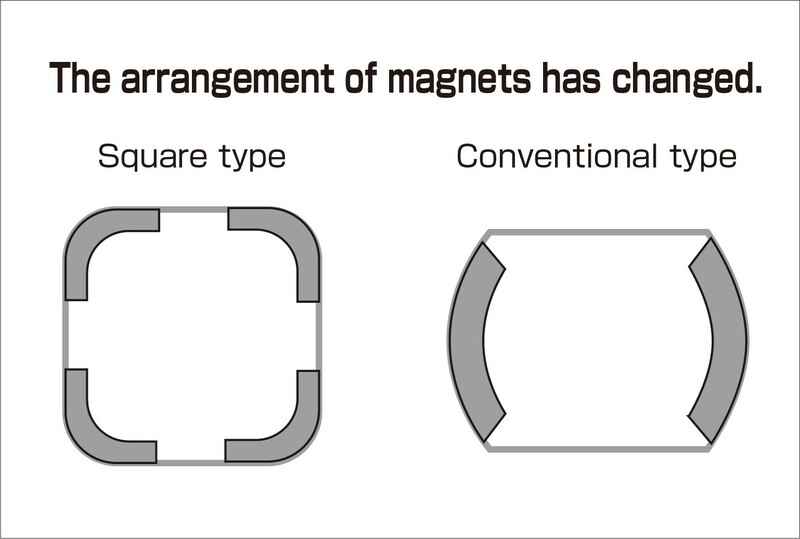 In the conventional motor, two magnets are bonded to the case, but in this square motor case the magnets are adhered to each of the four corners. 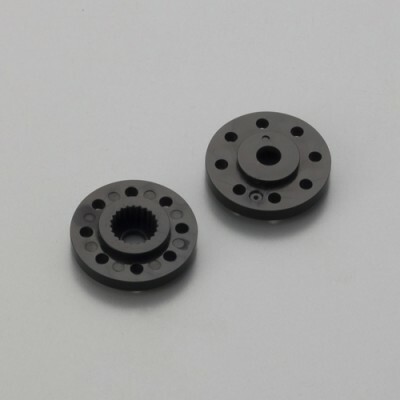 This makes it possible to increase the diameter of the rotor, so it is now possible to output higher torque than before. In addition, the servo's holding power has become stronger and a more stable motion playback has become possible. You can realize the difference by walking or getting up action of a biped walking robot. 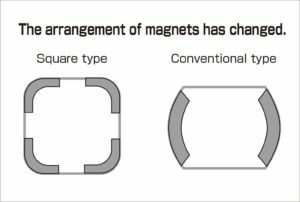 The phenomenon that the axis of the servo oscillates is less likely to occur. Cases and gears are all the same as KRS 3301. Options are also the same for both. The case sizes are the same, so combinations are possible with all KXR Series parts. 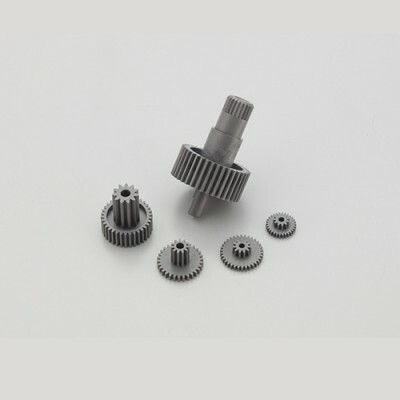 Gear meshing adjusted at intervals of 0.01 mm for smooth operations. The cubic shape allows the case to be oriented in any direction without significantly altering the silhouette. It will not negatively affect the robot’s style. 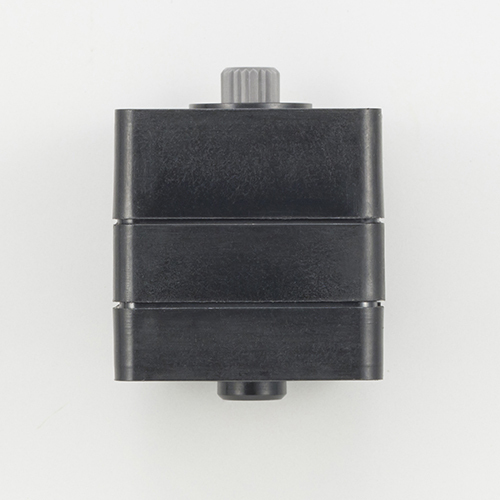 There is minimal surface variation for easy frame design and mounting. 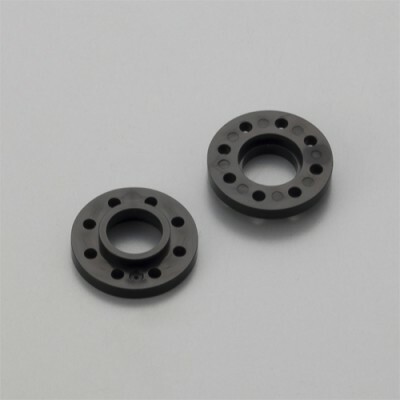 *The repair parts case is the "Servo Case for KRS 3301". 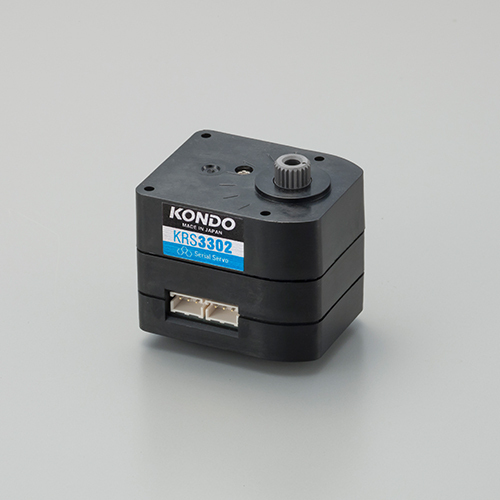 Please note that Servo Case for KRS 3300 Series cannot be used. The cable is removable, so you can replace it with cable of the length you prefer. Two connectors have been mounted, so servo motors can be connected to each other for beaded multi-drop connection. ICS3.6 is upward compatible with ICS3.5. 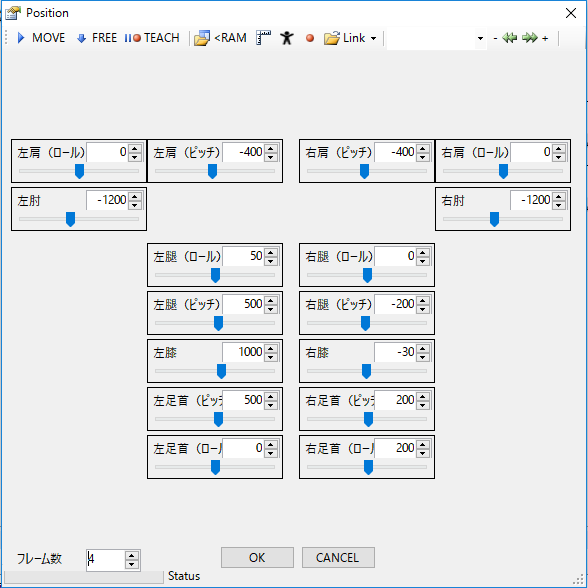 A command for acquiring the current position has been added to the 3.5 version content.For the communication format, you can select between serial and PWM, the same as before. 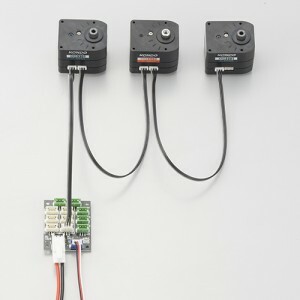 Servo motor communication can be changed based on the microcomputer board used for control. 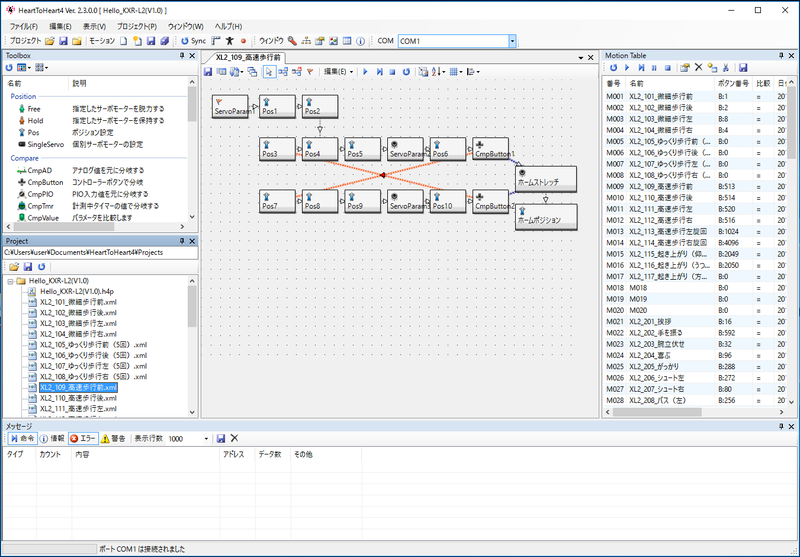 Also, in serial mode, IDs can be assigned to the servo motors, so multi-drop communication in which the servo motors are connected is possible. *The product is a 6-7.4V servo motor. HV batteries cannot be used. *When used in combination with RCB-4HV/3HV and Ni-MH5 cells (6V) or Li Fe2 cells (6.6V), use Booster 3.1 (booster circuit). 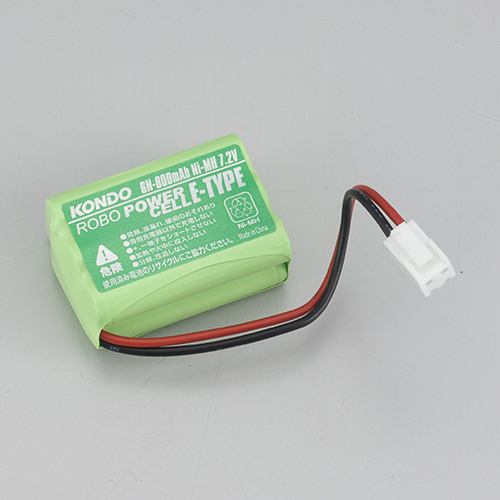 When Li Po2 cells (7.4V) are used, this is not necessary. It also is not necessary with RCB 4mini. *The communication mode at shipment is Normal Mode, so you can switch between serial mode and PWM mode depending on the high/low of the signal wire after powering up. 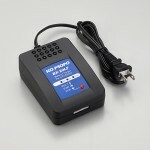 When used with RCB4, it is automatically recognized to be in serial mode. Use the product after assigning it to a servo motor ID number. For details on communication specifications, refer to the Software Manual. When used with serial-only (PWM prohibited), switch using the Dual USB Adaptor HS sold separately. 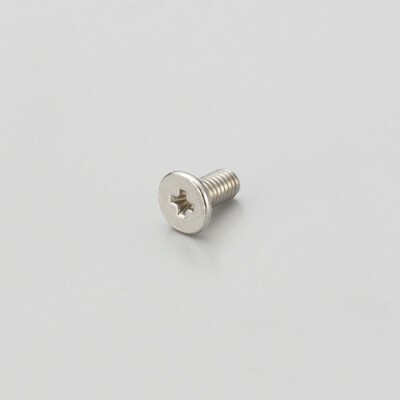 *For the securing screws on the free horn side, use a 2.6-4 flat head screw. 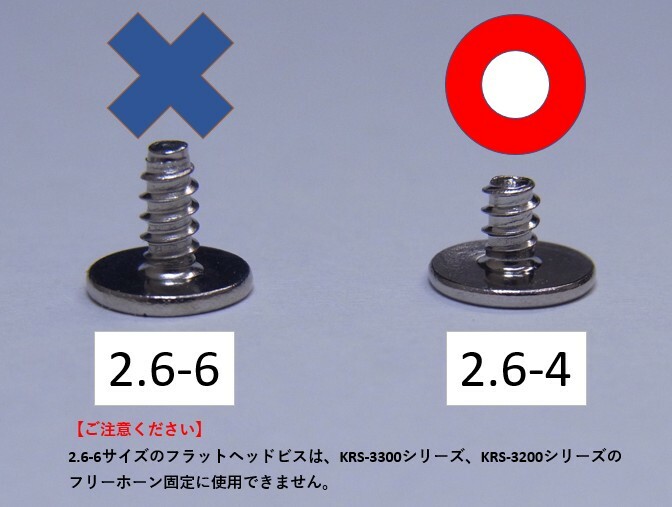 If a 2.6-6 flat head screw (included with KHR-3HV, etc) is used, they may pierce the case and break the base. 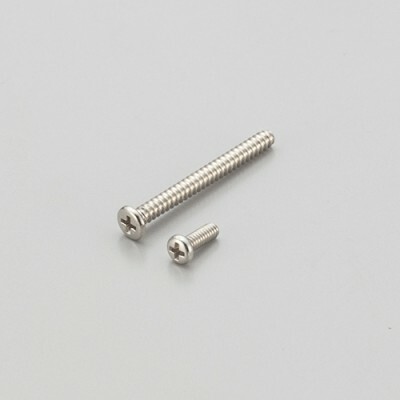 *To secure the frame to the upper case, use 2 mm screws. 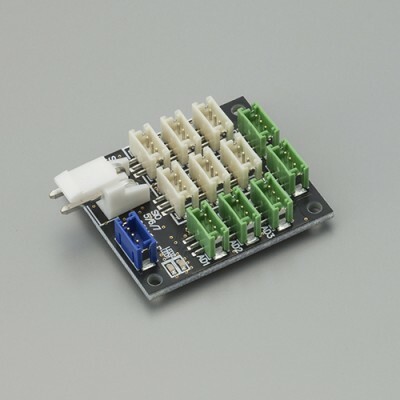 Control from the control board "RCB-4"
You can easily control the servo by combining RCB - 4 HV or RCB - 4 mini with Motion Creation Software HeartToHeart 4. 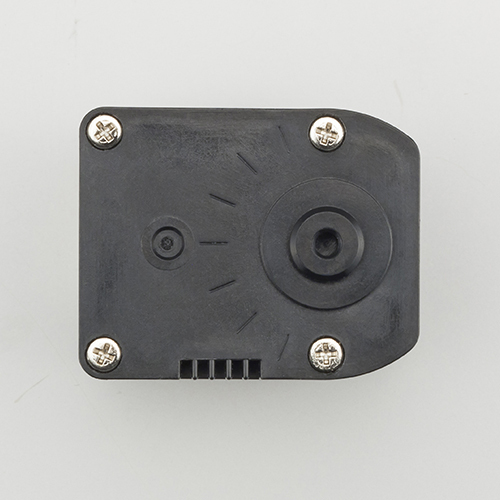 RCB-4HV has 2 lines for servo control, 10 ports for analog sensor and 10 ports for digital I/O terminal are prepared. 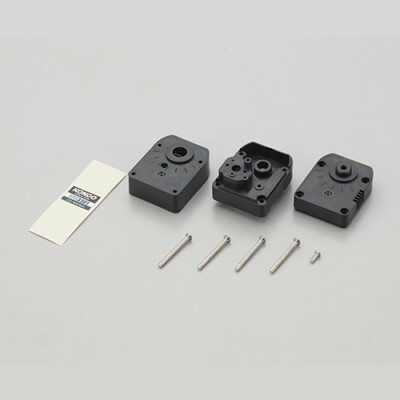 RCB-4 mini is compactly designed for small robots. 2 lines for servo control and 5 ports for analog sensor terminals can be used. The PIO terminal is not mounted. 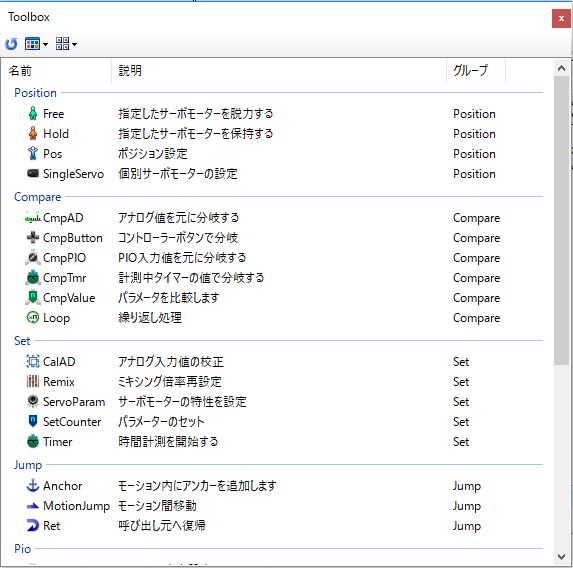 Using HeartToHeart4, you can create motion and adjust the robot. 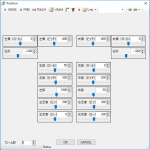 Motion can be created by arranging controls (panels) with various functions. 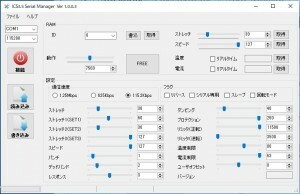 You can create a simple "greeting" motion, etc. You can also create complex motions such as sensors and wireless controller buttons. By assigning ID numbers to each servo and making multi-drop connection, devices are connected and communicate. 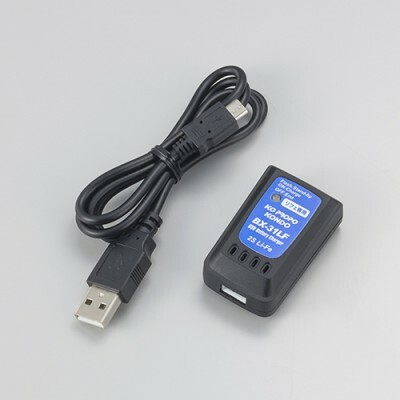 By using the Dual USB adapter HS you can control the servo directly from the PC. Please send the command referring to the published "Software manual (command reference)". Communication methods and samples are also published, so please see the following article for details. 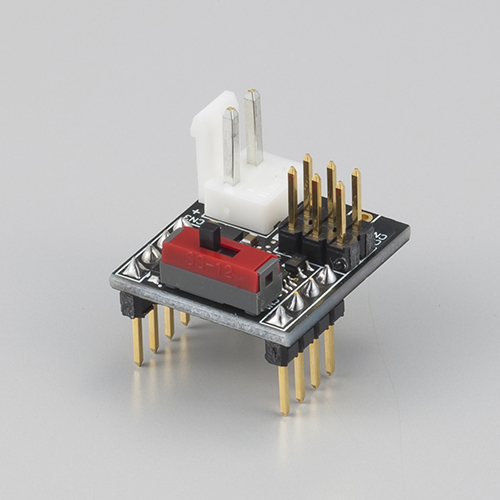 ICS devices such as KRS servo can be controlled from the UART terminal of the commercial board. ICS has the Tx (transmit) and Rx (receive) signal lines of the ICS device are integrated, it was necessary to prepare the circuit when connecting to the UART terminal. Circuits necessary for communication are prepared on this conversion board. 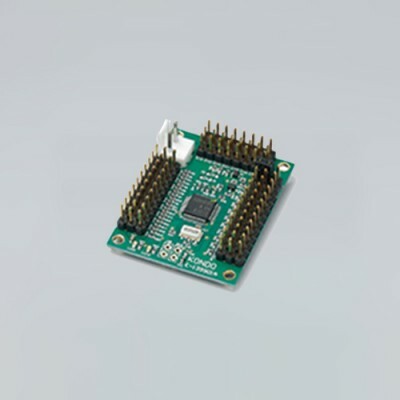 You can communicate with the ICS device simply by connecting each terminal to the board. 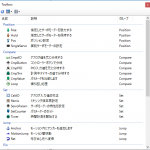 Please refer to "Software manual (command reference)" about communication method and command. We released a library for Arduino. Please download it from the link below. 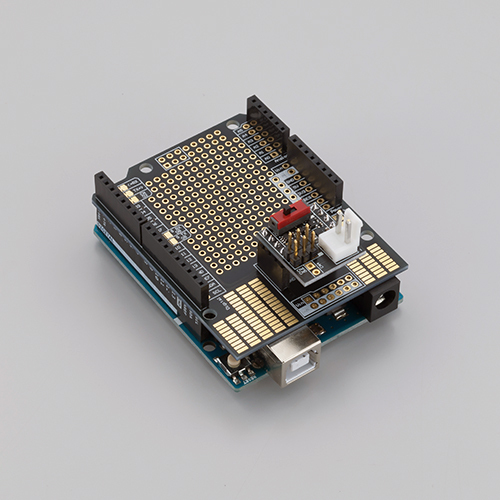 For detailed usage of the Arduino library, please see this article. 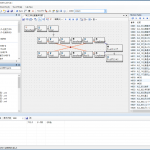 You can set the servo ID and communication speed by using the ICS 3.5 Manager software. 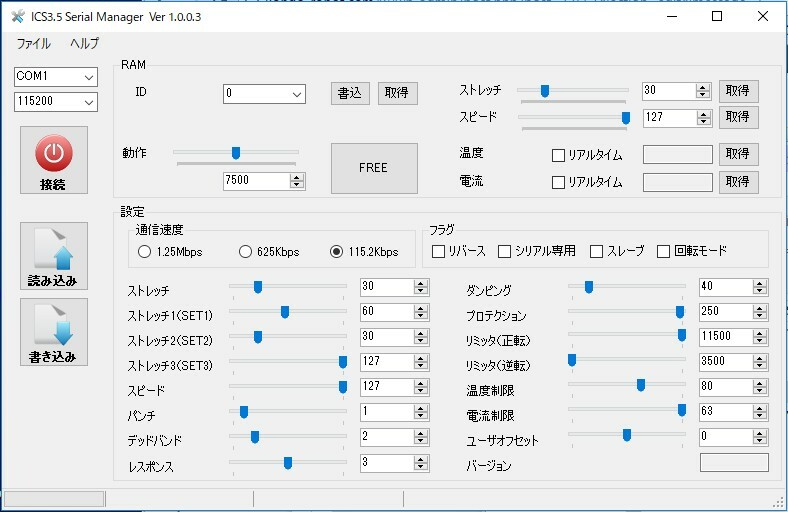 Various parameters such as "stretch" and "speed" can be changed. For LV servo, please use 2 cell (6.6 V) lithium ferrite battery(Li-Fe). 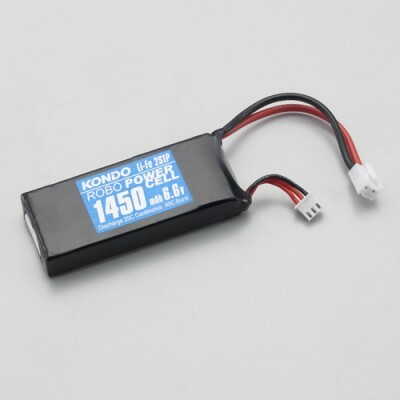 *Handling the battery requires caution.Please read this article before using. 6-cell (7.2 V) battery of Ni-MH can also be used. *BX-31LF / 32MH can not be charged from the PC's USB terminal. Please do not connect charger to PC. 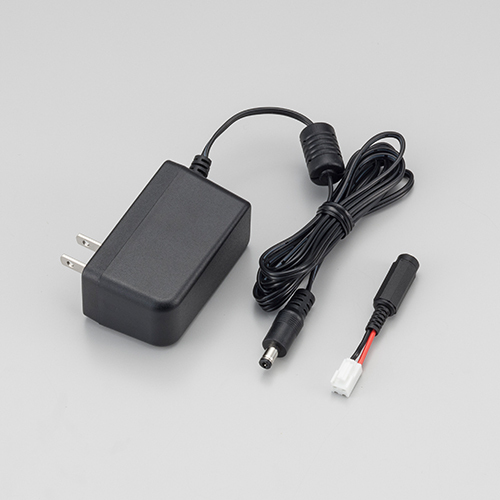 Please use the AC adapter (2A recommended) to be used for charging the smartphone etc. 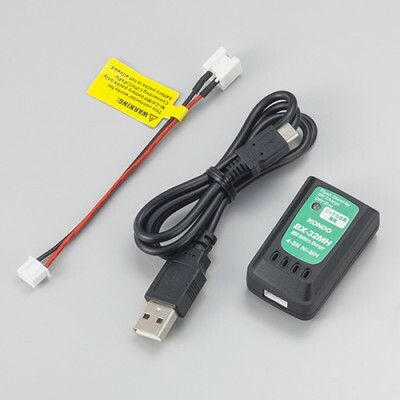 For robots with fewer servos mounted like arm type, you can use the following AC adapter. Be careful of the current capacity when using it. Information on KRS servo is prepared collectively in "ICS · KRS Servo Development Material". 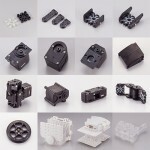 In addition, we also have various information on robots in "Technical Guide", so please refer to it.